Finding mammalwatching companions in a world full of birders can be hard. 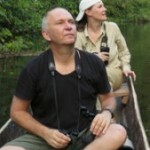 And so I’m really pleased to see mammalwatchers are starting to use this forum to find people – people like us who won’t let a parrot come between us and a porcupine – to join forthcoming trips. I’d like to help make this more effective so I’ve added a new trip directory page to maintain an active list of forthcoming trips. If anyone is looking for company on a personal trip then continue to post details on the blog. I will add your to the Join a Trip page to help match people to mammals. If you have any ideas on what else we can do to make this work better the let me know. So if you are looking for company on a trip then post away. If you are looking for trips to join then check here. And if you are a tour operator looking to fills trips then contact me for rates and options, especially if it is a quest to see an Okapi! Another step in the evolution of Mammal Watching. Thank you Jon! 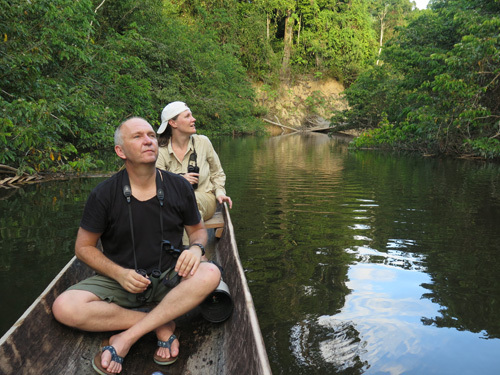 I’m tentatively planning my “return to Borneo” in Sept 2018, (You’ve been forewarned, Tom Hewitt and Mike Gordon 😉 ) so I will post when relevant. I’m also tentatively thinking of the Javan Rhino expedition in June, but I’m not sure if I will have enough vacation by then. We’ll have to see.. worst case I’ll join 2019. Good idea! Since I saw myself already mentioned on the page, this is probably good to know. After talking to Martin Royle I have changed the initial period of time from the beginning of september-half december to the beginning of august- half november as this will most likely deliver more cats (don’t forget the marbled cat by the way :)). Tom, Mike and Nick of AA Borneo are currently working on a plan to make the trip possible, so everything is still quite uncertain but if people are considering to join me for parts of the trips: you are most welcome and I will certainly post something if things are getting a bit more clear. I’m wondering, though, is there currently a safe and reliable way of seeing okapi in the wild?? ?